It is every boy’s dream to be a giant and powerful dinosaur. Well, for one boy this dream can come true. A dinosaur is willing to teach him all there is to know about being a dinosaur; how to roar, stomp, and eat only meat. But soon the boy realizes that the dinosaur wants to learn how to be like him! 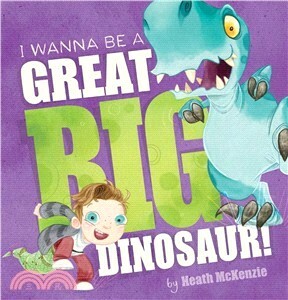 Enjoy this cute book about friendship and dinosaurs! Also includes a read-along CD!